Moving country can be a daunting yet exciting experience. When jetting off to another continent however, these problems can seem far more intimidating. Chengdu is one of the fastest growing international cities in the world but it is precisely that: growing. 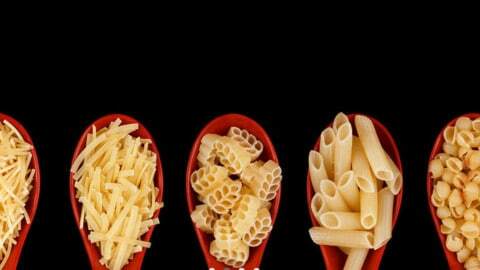 There are less English speakers than your Beijings or Shanghais alongside a shortage of Western comfort foods. This list will prepare you for many of the initial pot-holes people experience when first arriving. The most important thing to be clear on are visas. If you are planning to stay for more than 72 hours, you will need a visa before you arrive.There are differing types of visa for each type of applicant but the most common ones are the Study Visa (X1/X2), Business Visa (F/M) or the Work Visa (Z). Work Visa (Z)- Only visa where you can be employed on a full time basis and be paid by a Chinese company. Study Visa (X2/2X)- Allows 10hrs of part time work a week. 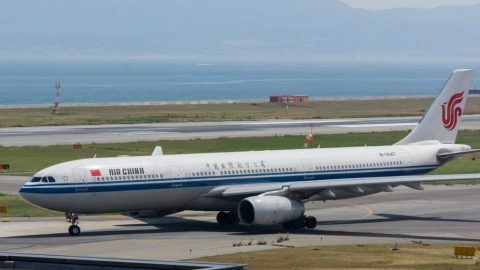 Business visas can only receive payment from sources outside of China; it is illegal for a Chinese company to be paying you on a tourist visa or a business visa. It is not uncommon for a company to bring you over on a different visa and do the work visa process within country but this can be a slippery slope and is not recommended. Business Visa (F/M)- M visa is issued to those who intend to go to China for commericail and trade activities and can be used for single, double of multiple entries with the duration of each being 30-60 days. F visa is issued for non-commercial visits such as research, scientific and cultural exchange. 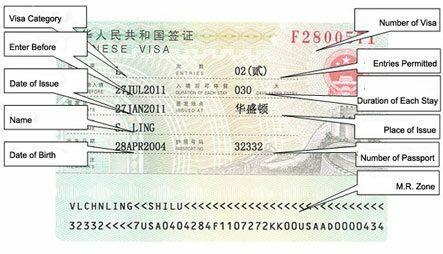 Unless you’re on the X2 visa, where you are only staying in China for 6 months, these Visas are only temporary. The residency permit will be the most important document, which your employer will help you with gain. This allows multiple entries for a year. This will require you to register where you’re staying/living at the local police station or the foreigners centre in Tongzilin. Many employment options, especially teaching, provide you with an apartment and assist you with finding a place, however not everyone is that lucky. 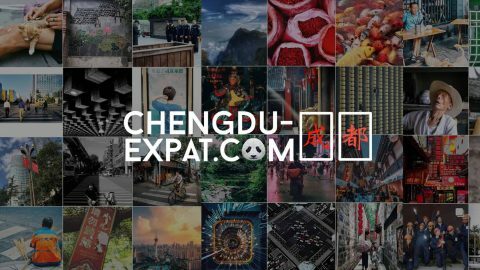 There is WeChat groups and forums (gochengdoo.com/Chengdu-expat.com) where housing options are advertised and you can often skip out on an agency fee. If you go it alone, estate agents can assist with the process, just expect to pay an agency fee of usually 1 or half a moths rent. I would recommend finding a Chinese speaker to accompany you or have a good transaltion app. One tip is to download Lianjia app. This has all the listings there, so you can find places you’re interested in beforehand to show the agents and speed up the process. The website www.58.com also has many listings put up directly by landlords, but the website is all in Chinese, so the Google Translate browser plug in is needed. 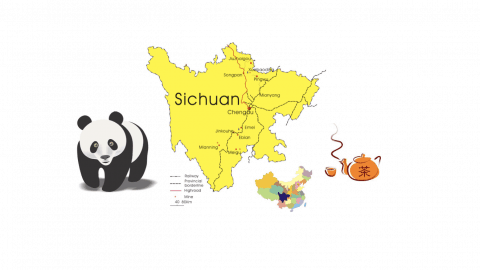 If you don’t know where to start when looking for compounds in the city, check out our list of great compounds within Chengdu here. All property owners will ask for at least 3 months of rent, along with the initial 1 month deposit,with some asking for 6 months or more. This means you’re going to be initially spending at least 4 months’ rent to secure an apartment. Usually the bigger month blocks you pay in, the cheaper it is per month. The leases are usually at least one year, often two or three. It’s rare you’d be able to secure one below a year and if you do the landlord will likely ask for more per month. 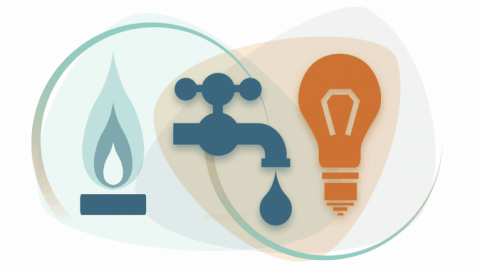 Water, gas and electricity are done either through the community office or via a meter and top up card. You top up your card at the local Hong Qi market chain via the cashier or a machine. Internet can be set up through the various providers inducing China Telecom and China Unicom. Your passport is needed to register an account. Prices start at around 101 yuan for a month of 8 Mbps internet. You can pay chunks of time up front or you have to come into the store to top up credit every month. One major hurdle in China is the internet as the aptly named Great Firewall heavily censors popular websites. Google, something most of the world take for granted, and all its subsidiaries are blocked. This includes Gmail, Google Drive, and the Play Store among other most social media platforms like Facebook, Instagram or Twitter. This can hinder many employees or workplaces that rely on Google based services or social media. Changing the destination of your app store will limit the amount of apps you can access and update, so make sure all your banking and personal finance apps are sorted before leaving your home country. Be warned, during big national and political events, access to any VPN service is more limited. The king of apps over here in China though is WeChat. 100% download this before you arrive and set up an account. Everything is done through WeChat here and is the app for all occasions. If you don’t have a WeChat you simply won’t be able to function here. It’s that essential. I use it daily to pay for things via WeChat Pay, order food through restaurants official accounts and even find my way around. Group chats in WeChat are a huge thing and are all their own little communities. There’s a WeChat group for almost anything, from your favourite hobbies to finding an apartment. Getting the best out of WeChat wallet requires you to have a Chinese bank account to start with, else you can just use money transferred to you. For a step-by-step guide on opening a Chinese Bank account, click here. The table below list the bank accounts you can open with a passport; some require a Z visa too. Under the ‘me’ section of the WeChat app, there should be a ‘wallet’ option. From there you can go to ‘cards’ and enter your bank and passport details. After that you set up your pin and you’re ready to go. WeChat has a handy location-sharing feature that makes navigating this new and strange city far less daunting. It uses your GPS to locate you on the map and you can either send these details, receive others immediate location or you can save a location of your favourite spots in Chengdu and send at your leisure. 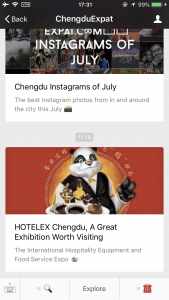 There are many features in WeChat, including Official Accounts and Mini-Programmes. 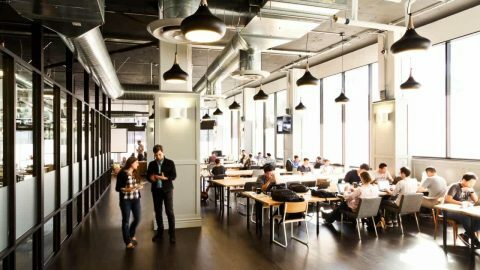 Official Accounts provide a formal way for companies to interact with their customers through WeChat. WeChat Mini-Programmes are “sub-applications” within the WeChat ecosystem. They enable to provide advanced features to users such as e-commerce, task management, coupons etc. As mentioned before, it’s better to download apps before you arrive. Especially for android users. Here are some essentials. Apple maps works quite well but if you use android, default programme Google Maps won’t work without a VPN. Even if you’re an apple user, it’s a useful app to have if you want to immerse yourself in the language. An alternative to WeChat wallet, but is essential if you want to use Taobao. The website uses this for payment, similar to PayPal and eBay. Chengdu has a long history with the bike, so the share bike phenomenon has taken Chengdu by storm. The city is filled with these share bikes and make getting round the city a blast. 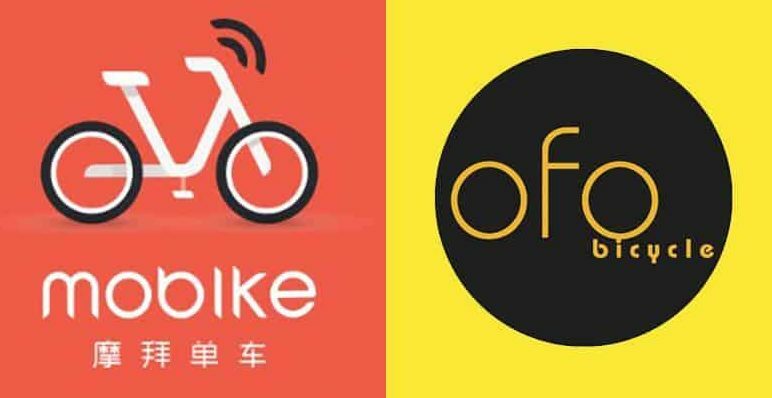 The two leading share bike apps are Mobike and ofo. If you are unable to set up a Chinese Bank account, it would be best to sign up to ofo bicycle over mobike as ofo accept international bank cards. Didi is the Chinese answer to Uber. Didi bought out Uber China so now it is the undisputed king of taxi apps. Didi is now in English and uses digital payment methods for an easy experience. Didi has now released an English Language Interface, making it easier for international individuals to use and navigate the app. 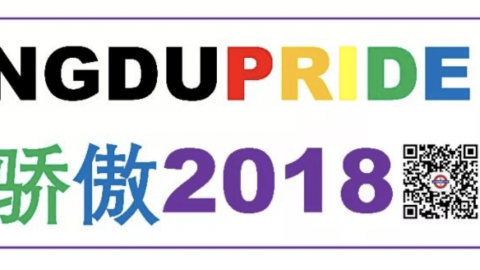 For a guide on how to download DiDi English click here. There are certain things from home you may need to stock up on. Chinese sizes are often smaller than western sizes and this is especially true for footwear. Size doesn’t end just with clothes, other size sensitive items such as condoms should be brought over if appropriate. Toiletries are all different too, so if you have a preferred brand of toothpaste buy a stock of it as well as spray deodorant. If you can’t stock up, literally everything you could ever think of is available through Taobao,the Chinese equivalent of eBay/Amazon. Setting it up can be a bit of a hassle and the website is all in Chinese, so make a Chinese friend and they can help satisfy all your western good needs. Chengdu is very easy to traverse via public transport. With a new metro system expending seemingly every few months and countless bus routes. 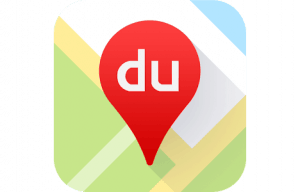 Linking back to Baidu maps and location sharing earlier, you can use the navigations function to plan your public transport route for you. 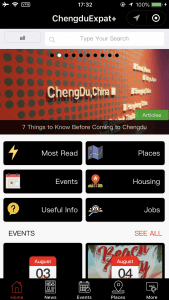 Simply open the location sharing in WeChat, press the green navigation button in the bottom right corner to choose a map service, choose Baidu (it will be written in Chinese characters) and press the bus icon in the tabs above. There you will be presented with various public transportation routes all with fairly accurate travel times and GPS locations of stops. These public transport routes and directions will include buses, metro lines as well as any necessary walking. Similar to London’s Oyster card, Chengdu has a transportation card called a Tianfu Tong. With massive queues to ticket machines in the metro, a Tianfu Tong comes in handy. Many employers will provide you with one on arrival preloaded with some cash. If not, it’s easy to get one and top up, just purchase one from Tianfu Square, Sichuan Gymnasium or ChunXi Lu Stations. Buses are usually 1-3 yuan, some accept Tianfu Tong cards while the older ones only accept cash. Often on the busier buses there will be a ticket lady who will collect your money from you, or on especially busy times expect you and other passengers to pass your money down to her. That is the one problem with public transport in Chengdu, the busyness. If you travel during peak times say goodbye to your personal space, personal bubbles aren’t a thing in China. People won’t move to let you off and boarding passengers will try and get on when you’re trying to get off. Be prepared to push yourself through a crowd during busy times! Pollution is a real problem throughout China, with Beijing and other Chinese mega cities frequently being the most polluted in the world. Chengdu isn’t as bad as Beijing but it certainly isn’t exempt from the problem. However, if you’re smart, you should easily be able to survive. 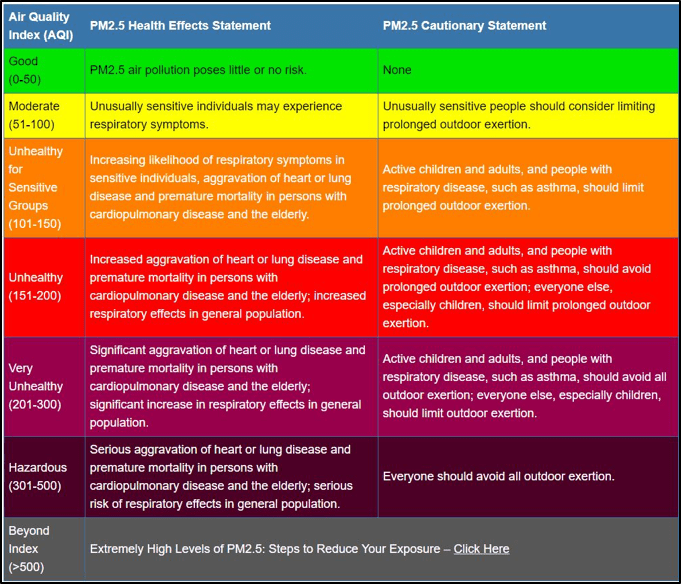 The pollution is measured by AQI and PM2.5 concentration. The most polluted time of year is the winter, due to nationwide burning of coal for winter heating. It usually hovers at 150 or more during the coldest winter months. Here’s an in depth article into surviving the winter pollution.The most important things are to know the pollution via the Smart Air app or the American Consulate, own a good mask and air purifier and just manage your exposer to peak pollution times. Thank you for the article, will be practical as I’m leaving to China next week. Btw, you haven’t included Nordvpn in your recommendations, but that’s the service that I’ve bought. My brother who lives there recommended to purchase Nord before leaving as he said it’s the most popular vpn service in his friend group.